Typical applications include light wood scrap such as thin edgings, rippings and trim ends up to 1” thick with an occasional 2X4. The FS series incorporates the punch and die design, internal shear pin protection and rugged construction of a Montgomery Hog. 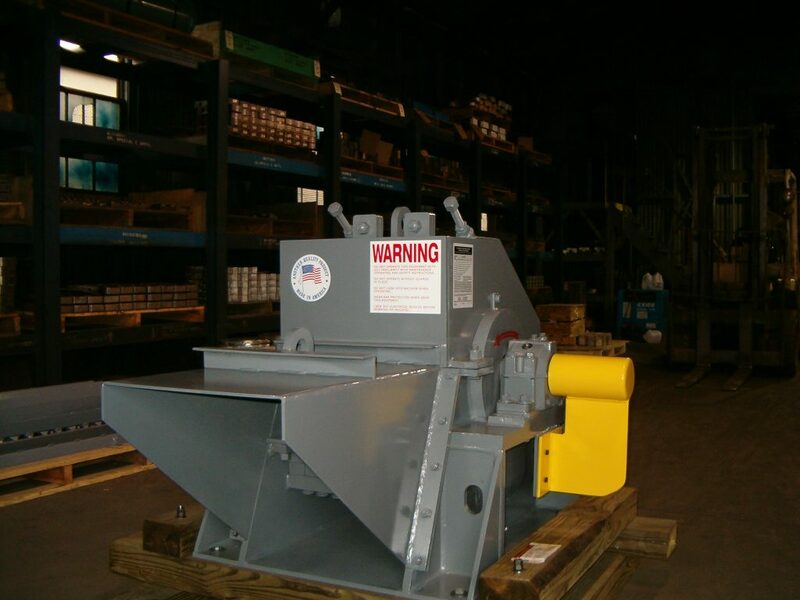 The horizontal feed is designed for the processing of long pieces using a vibrating conveyor. Pieces larger than the hog can process in 5 to 10 seconds can be metered with an available Current Sensing Unit. Rear discharge with a rectangular to round transition (included) allows pneumatic pickup of discharge material into an existing blowpipe system. 10" - 18" - 26"